I love Rocky. Not Bullwinkle. Balboa. He’s not even real. He’s a fictitious movie character, but I just love that guy and all his movies. From the original to the most recent, I’m a sucker for all of them. Every. Single. One. I love that he’s the underdog. I love that he has to claw his way to the top. Sure, that first title shot was kind of a gift (the opportunity, not the outcome), but he didn’t waste it. He trained like crazy and fought with everything he had, his whole heart. In fact, that’s what I like most about him, his heart. He could get punched left and right, thrown against the ropes and beaten to within an inch of his life, but you couldn’t stop his spirit. Rocky wasn’t good because he never got hit. He was good because he kept getting up and throwing one more punch. He just kept going. He was incredible. Now, I’m no boxer, but I spend a lot of time punching the trails with my feet. 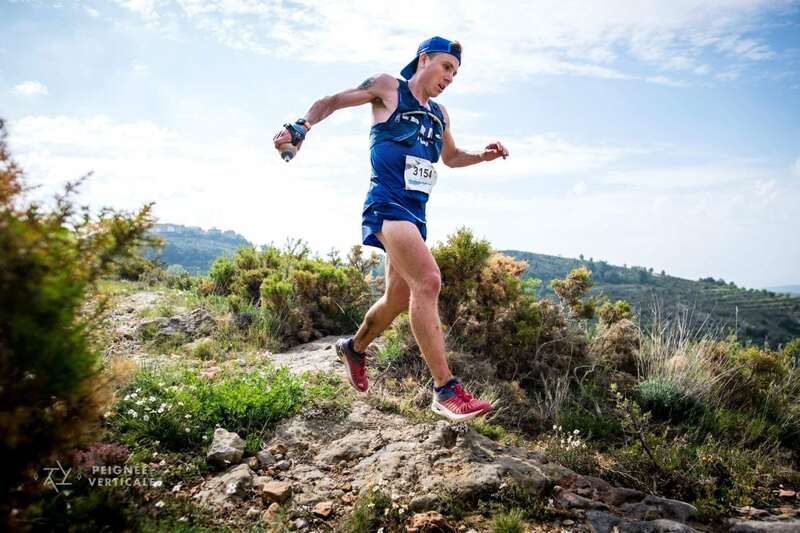 Last weekend I raced the Trail World Championships in Spain. For a while, the race went well. I hopped in the lead group and rolled through the early climbs and descents with a small contingent of runners. Sure, it didn’t always feel effortless, but it felt pretty good. Eventually I opened up a small gap. It wasn’t much, but is seemed to grow with time. Then, somewhere in one of those awkward, rocky riverbeds, I found my rhythm. As I turned out of the riverbed and climbed upward, I found what we all hope for: a groove that feels strong, smooth, and relatively fast, but not overly forced. It was great. It was fun. It was the way I like to run. At the top of the climb, I entered a town. People lined the streets, cheering me on as I ran. I especially remember climbing a narrow staircase through an alleyway. People crowded in on both sides, yelling enthusiastically. It was like the Tour de France minus the spandex shorts. In the middle of town I stopped at an aid station, quickly filled my bottle, and continued on. Leaving town I felt good. I likely had a big smile on my face as I headed back to the trails. Unfortunately the fairy-tale feelings didn’t last forever. Somewhere around mile 38 things got drastically different. I had led for much of the day, but as Spain’s Luis Alberto Hernando and I left the Vistabella aid station together, I knew I was in trouble. I felt like I was taking punches from the formidable Ivan Drago himself. But, Luis had to be hurting too. Right? Wrong! Or at least not by the looks of him. I looked over at this monster of a man and determined that he looked fine. It was intimidating, and really impressive. How could he look that good so late in the race? For a while I remained in second, but eventually I got caught by Christopher Clemente of Spain and Great Britain’s Tom Evans. I was feeling pretty awful when they caught me, but somehow I managed to hang on for a bit. Unfortunately it only lasted for a short while as they ran away from me around kilometer 70 to 75. Over the next 15 kilometers or so I continued to struggle, ultimately fading to eighth place. The finish line brought an initial sense of relief. I had really been struggling over the final part of the race and was so thankful to be able to stop moving. But, amidst the relief was also a deep sense of disappointment. I had wanted so badly to hang onto the lead. Not that I thought it would be easy. I knew it was a huge task, but I wanted to give it a shot. Things went well for a while, making it seem like it might be possible. Then they fell apart. It’s not like I haven’t been here before. I’ve raced aggressively and paid the price more than once. Each time I do it, I am well aware that it’s a gamble. I guess I’ve had the perspective that I would rather take my shot and miss it than not take it at all. In addition to this, I’ve also thought that racing aggressively may actually be my best shot at doing well. And yet, at times, I second guess myself. I wonder if perhaps a more conservative, more calculated strategy would be better. I imagine that there are quite few folks who think my aggressive nature to be idiotic. That’s okay. I also know that there are lots of folks who express how much they like it. In fact, people like it so much that it makes it hard for me to put on the brakes. I kind of feel like I will be letting people down if I didn’t go hard from the gun. That being said, I know that I need not worry too much about that. I had a conversation about this leading into UTMB last year. We spoke about how it seems that everyone has an opinion about how other people race. They love to critique and criticize, and they are welcome to do so. But, what must also be realized, by both the critiquer and the critiqued, is that a race belongs to the runner. Sure, there are better and worse strategies for winning races and achieving goals, but at the end of the day, the runner can play their cards however they like. Acknowledging this concept gives me a bit of relief when considering how to approach a race. It means that I need not feel pressure to race a certain way. And this is not to say that I’ve been strategizing against my desire or will. I really like racing out front. What I am trying to express is that I, and anyone else, should have the freedom to cut their own trail. A race is not a binary thing. It is complex, dynamic, and fluid. For some, it may not even be about winning or setting PR’s, and I think that’s wonderful. Throw it back to Rocky. Rocky didn’t necessarily train and fight the same way every single time. He didn’t even always win. Sometimes he would run the streets of Philadelphia, Pennsylvania. Other times the mountains of Russia. Even in a fight, his strategy, style, or footwork might change a bit. What remained, however, was his heart. The dude was an absolute crusher, taking and throwing punches with everything he had. The steps he took varied, but the heart with which he made them was an absolute staple. It was his trademark. Having said this, some days you’ll miss not only your mark, but also your trademark. That’s alright. As I said earlier, races are not binary and neither is life. We shouldn’t beat ourselves up too much for the times that we fail. In fact, we will probably get a lot farther in life if we are willing to fail. So take your trademark and weave it amongst the things that you do. Remember that life is fluid and outcomes are uncertain, but the way we swim through it is what truly matters. At times it will stink. It will get really hard. And it won’t be fun. When that happens, channel your inner Rocky, pull yourself back up, stay true to your trademark, and throw one more punch, because how you do it is what matters most. What is it about you that makes you who you are? 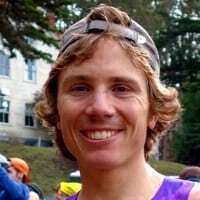 Thanks for the report, it’s great to have a peek inside your head on race day every once in a while. . . . You’re my favorite racer to watch, even though my race pacing is 180 degrees from yours. And it actually makes it more enjoyable to watch you race aggressively when I know that you have a strategy of going hard and hoping/trying to tap the vein of mental and physical energy that will let you hang on to the finish line. It’s glorious when it works, and worth the risk of failure, like any great performance. Thanks for the reflection Zach, it was a blast following the race! Giving it your best is all I want to see! Your life is an inspiration Zach. You are in a rare group of humans participating at a high level in extreme physical events. Excluding unpleasant people’s comments, perhaps some of the second-guessing is the community’s way of participating. I remember following Anton during his ultra racing blitz and constantly wondering, as an observer, how some races might have gone if he actually tapered. This curiosity was never critical, just sheer curiosity from a person who has and never will compete at such a level — but who was enthralled with the feats being achieved. Most of us humans are hemmed in by our obligations and basic survival considerations. Seeing other humans perform at a high level in events which look like the epitome of freedom, invites questions. Which is why it’s even more amazing that you and Walmsley are in this elite echelon, but refuse to play it safe. This flies in the face of the risk-averse, build your 401k mentality society hammers in. This mentality says, “You’re in the mix, don’t blow it by taking a big risk!”, and it often works. Yet, sometimes it doesn’t work. Sometimes life happens and that 401K mentality never pays off. The older I get, the more I draw inspiration from the risk takers who seize big dreams today, because tomorrow may never arrive. For what it’s worth, keep running free and big all the days you can, while a community of admirers and detractors marvel. Zach, i was looking forward to you decimating the race. And when I saw that u were in the top three till 38, I was euphoric. I also know that you like to go all out like ur previous races and that attitude is awesome. In retrospect, a little strategy and I am sure you would have been podium. But that’s not what I like. I like your go hard or go go home style. Hope that u have better races ahead. Happy racing mate. I like that you put yourself in a position to potentially have a great day. Maybe this one turned out to be a good 8th place rather than a great first or second, but you were there to find out. At the end of your career, I’m betting you’ll be able to look back on several really great races where it did work out and you actually won. I think I’d take that over a longer list of races where you played it safe and overtook a bunch of people to slip into the top ten. I am one of the admirers of your racing style. That led me to visiting you at Barr Camp last summer. No I do not stalk every amazing runner s. In fact you were the only one. 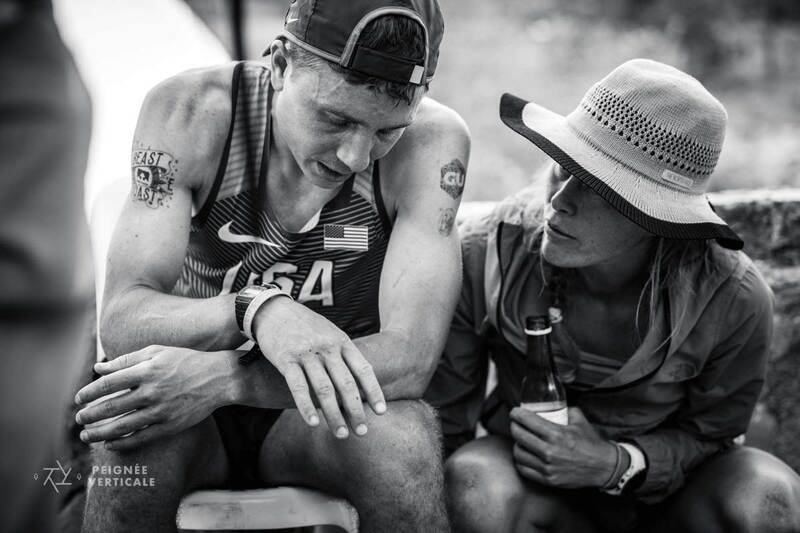 The eternal question: race too hard and bonk, or not race hard enough but finish strong. The latter sounds more reasonable and surely is better advice on a normal day. But who wants to finish a race regretting that you didn’t push hard enough and could have ranked better? You’ll never know if racing conservatively you would have had a better day, but one thing we all know for sure is that if you didn’t race all-in, this sport would be much less epic! Congrats on trying hard and running so many km in front of the beast Luis Alberto, feeling his breath on your neck must be the ultimate adrenaline shot!